More changes in the News landscape, this time at TEN in Melbourne where ‘TV phenomenon’ Mal Walden will pull back his workload to four nights a week from Mondays to Thursdays. Yesterday Peter Ford told 3AW that Walden, 67, would present four nights a week, with a view to three nights a week later in the year ahead of later retirement. A TEN spokesperson told TV Tonight, “Mal has been in the industry for 52 years, and so far, 25 of those with TEN. 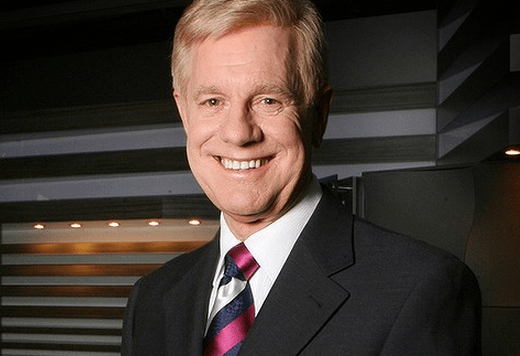 He is one of the greats in the TV business and while this is not a retirement, he will – from this week – present TEN News At Five in Melbourne four nights a week. Mal is still very much at the forefront of TEN News At Five in Melbourne. Sources suggest Walden was encouraged to extend his contract with TEN last year and delay retirement plans. A long-term plan is believed to have been in place ahead of News staff axings, including former co-presenter Helen Kapalos. TEN insists no date has been set for his retirement. The network also denied there were plans for him to present 3 days a week later in the year. In October last year Walden renewed his contract with TEN when the network indicated there were no changes planned for its presenting team. Its not like Newsreaders work out in the sun all day for what they have to do they surely get paid well to read the news! e.g Chris bath $750,000 p.a. Speculative figure, never confirmed, they never are. I think after 50 years in the media Mal is entitled to retire on his own terms. I would! Surely Ten knew Mal was planning to retire soon so why oh why let Helen Kapalos go? Even if they had to continue with dual presenters a few nights a week and have Helen present solo on Fridays until he retired. Nothing Ten does seems to make sense. If Mal was planning on retiring, why wouldn’t you want to keep Helen Kapalos as your long term option? If he had wanted to retire last year, and Ten want to only have single newsreaders… Why not let just him retire and keep on Helen?